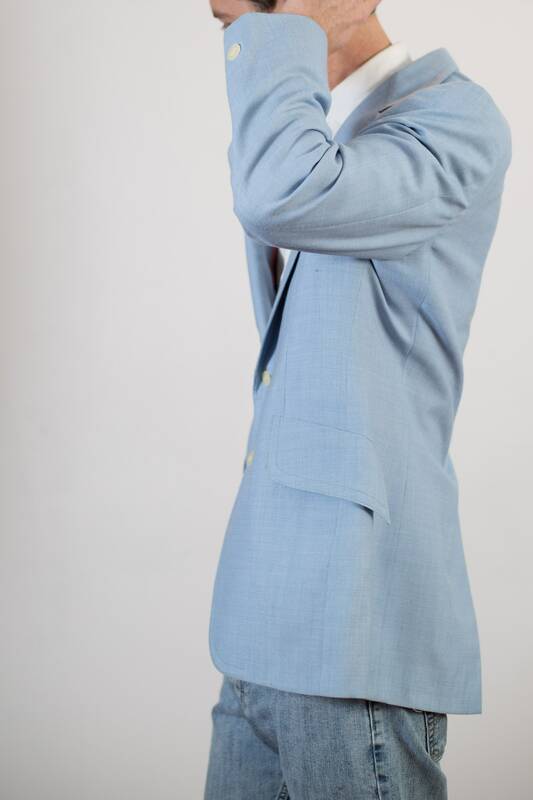 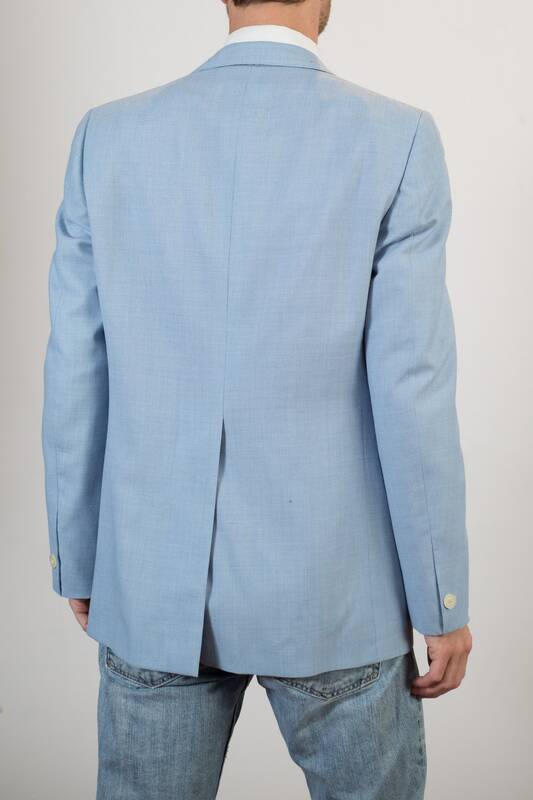 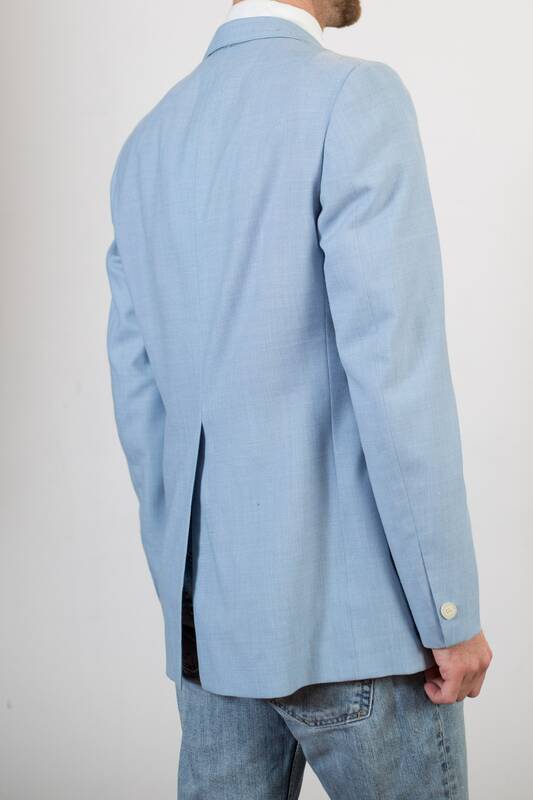 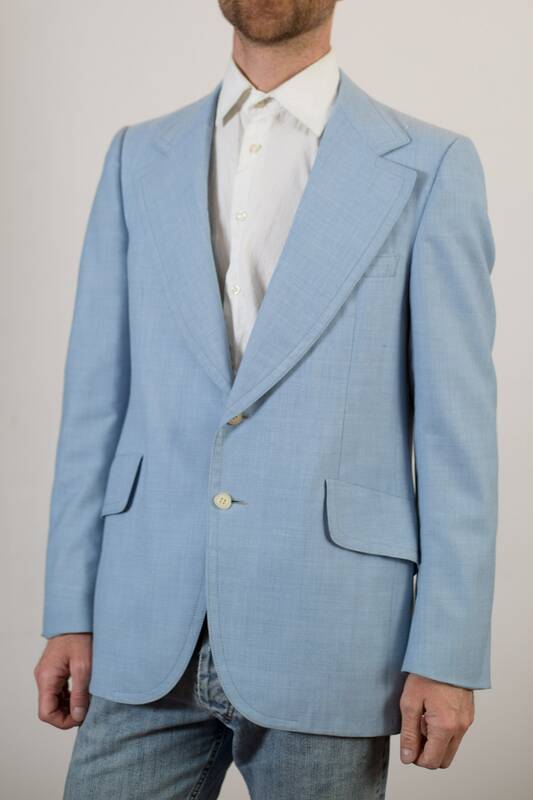 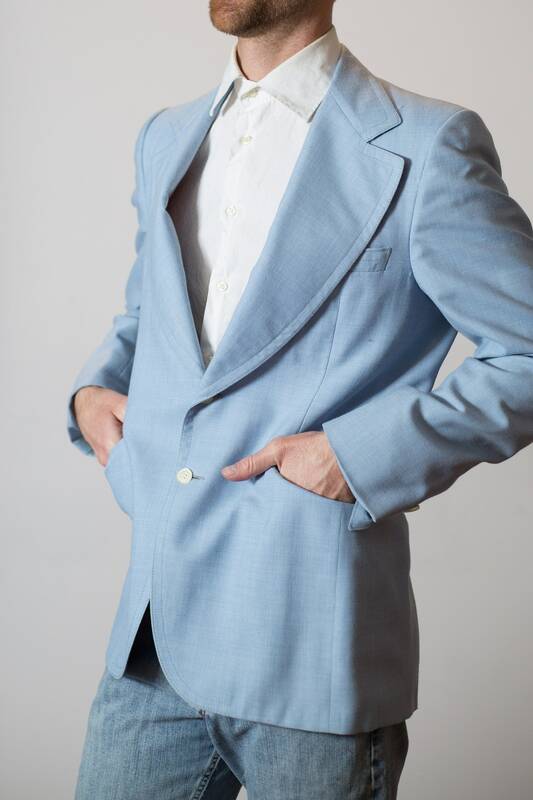 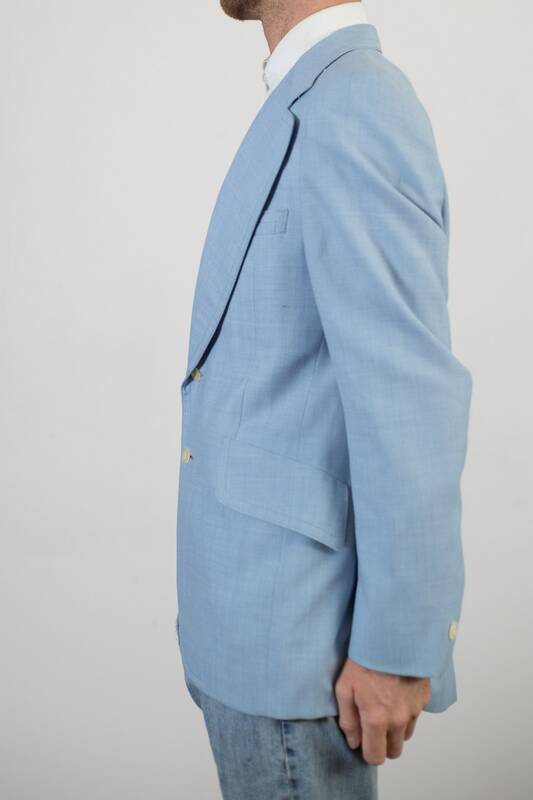 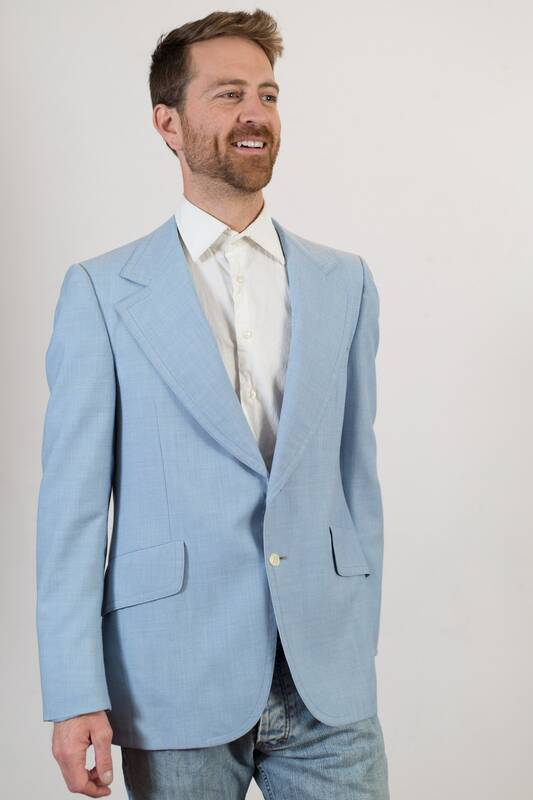 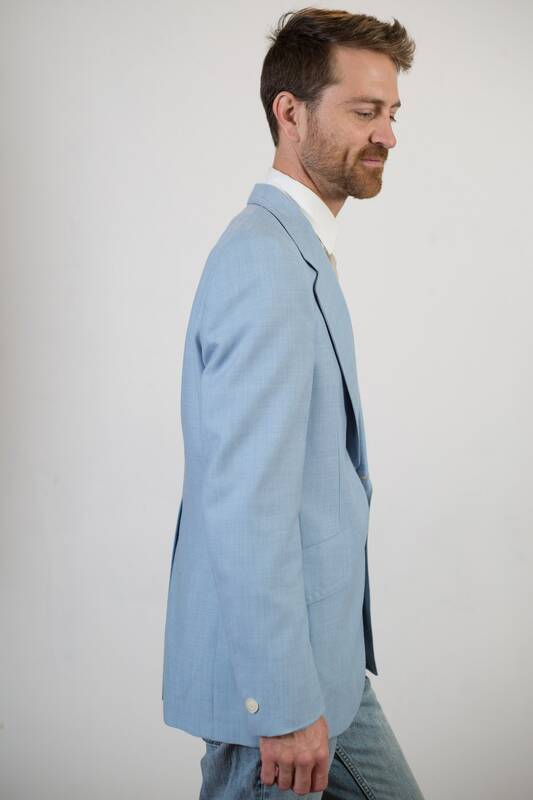 This is a fantastic baby blue sports coat blazer with white pearl-finished buttons, functional waist pockets, breast pocket and inside lining pockets. 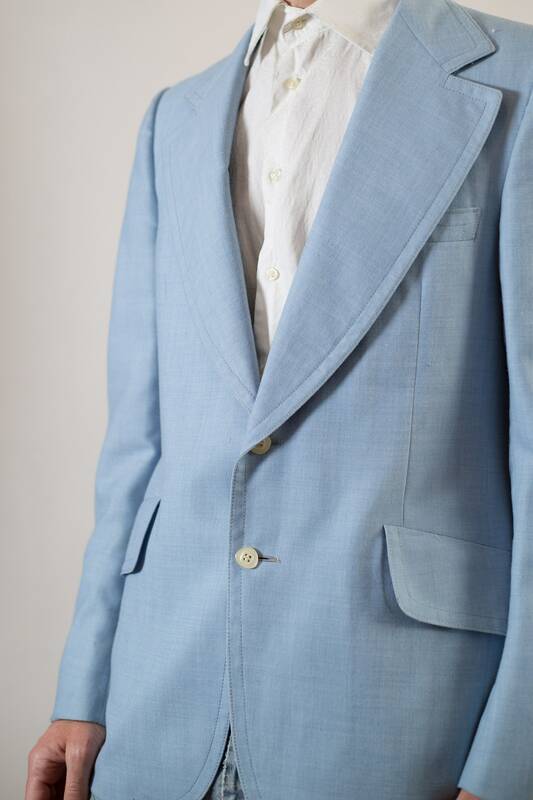 Material: shell: 55% polyester, 45% wool. 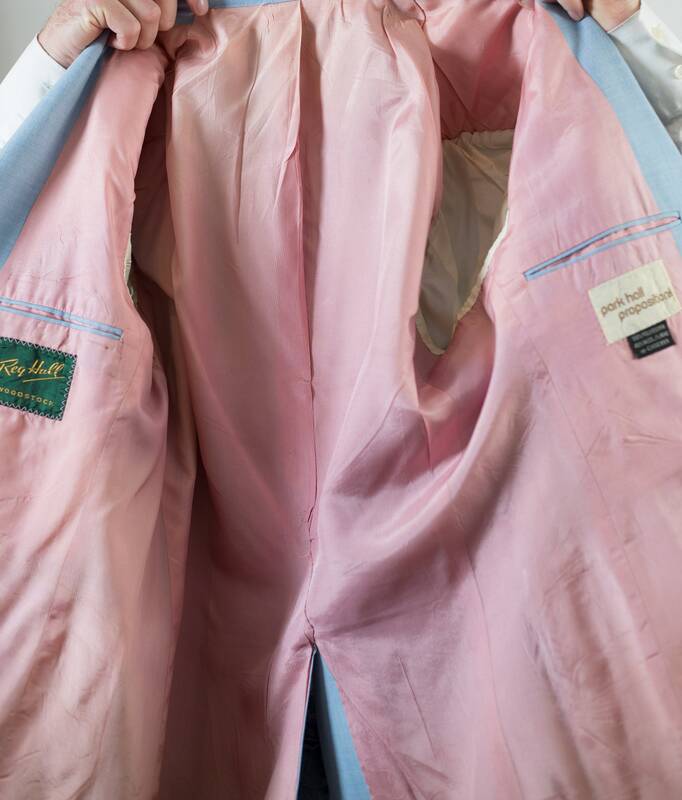 Acetate lining.